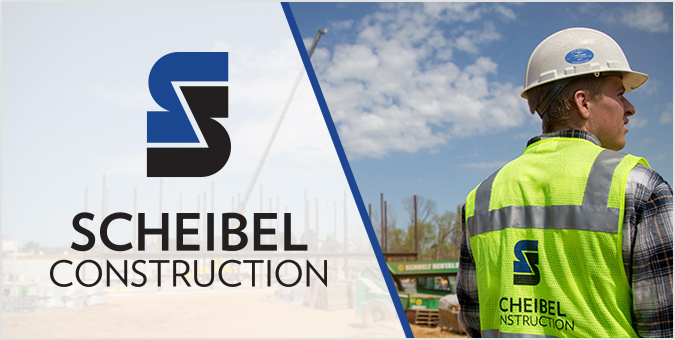 Founded in 1946, Scheibel Construction is a fourth-generation family-owned business that specializes in construction management, general contracting, design/build, and LEED-certified construction in Maryland, Virginia, Washington DC, and Delaware. With over 70 years of experience, Scheibel asked to showcase its deep portfolio with a fresh new look that still honored its past. Jake’s design team was tasked with streamlining the logo, updating print materials, and designing a new website that was industry appropriate and easy to use. We started by modernizing the brand mark with a new orientation and clean typeface, then designed a custom WordPress-powered responsive website that highlights the firm’s long history alongside recent projects allowing users to easily sort them by type and industry.